Mint Custard: Jimmy Jimmy, Oh! Old, unfunny man hosts iconic late night TV show. Old man leaves to host new, unfunny TV show in earlier slot. Freaky looking, slightly funnier man takes over iconic late night show. He is very happy. TV network spends US $50 million building a new set for iconic late night show. Ratings for both shows fall through their respective arses. TV network panics and tries to move old man’s new show back to iconic late night TV show’s spot. Freaky looking, slightly funnier man gets upset, refuses to move iconic late night TV show on principle. TV station and freaky looking, slightly funnier man go at it like Rock ‘Em Sock ‘Em Robots. People start to watch iconic late night TV show again. TV station pays freaky looking, slightly funnier man and his crew a silly amount of money to terminate their contract. Old, unfunny man gets his old job back. The world shrugs / gets upset because they prefer freaky looking, slightly funnier man. And what he do, exactly? Well, ostensibly the same thing that most American late-night-fawning-star-interview-house-band-audience-participation-pop-culture type shows seem to do. Such programs (Letterman, Conan, Leno, Craig Ferguson, Jimmy Kimmel etc) are so formulaic that Garry Shandling’s sublime Larry Sanders Show was pretty much ready-made before they even started writing the gags. It’s a formula that many around the world have tried to copy, notably Jonathan Ross and Graham Norton in the UK and Rove McManus in Australia. All three had ratings success but with weekly shows and precious little competition. Their US counterparts run parallel and in competition with each other five days a week, 52 weeks a year, meaning star guests and material are spread precariously thin. This might explain why I have developed a fondness for Jimmy Fallon’s take on the genre, which is to fill the gaps between his opening monologue and the mutual back-slapping interviews with some moments of quality silliness reminiscent of his old days co-hosting Weekend Update with Tina Fey on Saturday Night Live. The result is more late night community radio than polished television chat show which contrasts nicely with some of the very-famous-indeed guests. Despite all the Conan hoo-ha Late Night is undoubtedly aided by having NBC as its parent network. As the home of 30 Rock, The Office, Parks and Recreation and Saturday Night Live the show has a deep pool of comedy talent to draw on at will. There are many cameos by SNL alumni, past and present – which is unsurprising given Jimmy’s past and having SNL head honcho Lorne Michaels as Executive Producer. Stylistically some of Late Night’s best moments mirror the SNL Digital Shorts; clever and funny pre-records which allow Jimmy’s hammy comedy style to shine and give the talented crew a share of the spotlight. Check out their pre-Christmas series the Real Housewives of Late Night featuring Jimmy and co as their own wives (including a scarily feminine AD Miles) or the recent inspired Video Vision Fire Safety skit. Integral to the show are The Roots, Jimmy’s adopted house band who put the funk up every other house band on TV. The rapport between them and Jimmy - especially leaders Tariq and Questlove - is genuine and their ability to give musical backing to every idea on the show provides the glue that holds it all together. My love is not unconditional just yet. There are still things wrong with LNWJF, not least some of the fawning interviews, with Jimmy happy to pump up a few egos or promote any old tat as great. An over-reliance on showbiz mates often leaves some guests covering little more than how fun it was to work together. Also, it may be a Late Night tradition, but please scrap the monologue. Jimmy can’t do them and why should he when there are other things he can do so much better? 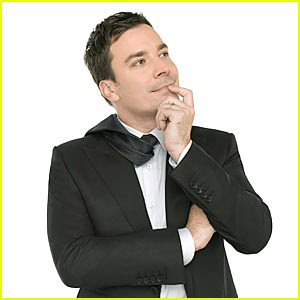 Fallon’s goofy personality is both his blessing and his curse (he was eloquently described by Tracy Ullman this week as the guy you’d invite out with a bunch of girls because he’d make you laugh but wouldn’t try to shag you) but ultimately there is much to like. His producers could do a lot worse than allowing him even more freedom to take Late Night somewhere totally new and not force structure upon him for tradition’s sake. Having stepped into Conan’s old chair at Late Night the same time as O’Brien replaced Leno, Jimmy Fallon is slowly finding his feet some six years after quitting Saturday Night Live for a film career that never quite happened. I for one am glad he’s going to have more time than Conan did to prove himself the right man for the job.